UT's medical school is one player in a community-wide effort to improve health and health care. Here’s a look at who’s paying for what in Austin’s new health care program – including UT’s Dell Medical School, Seton’s new teaching hospital, and Central Health’s expanded health clinics and health care. 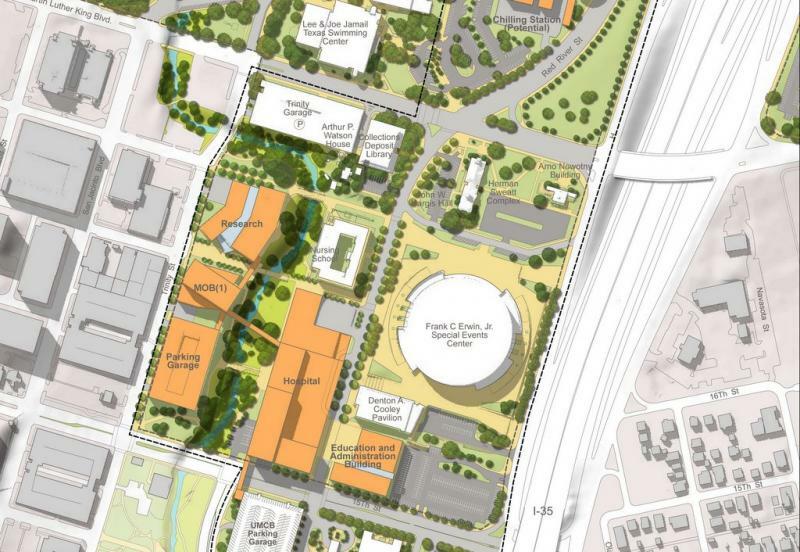 On May 9, the UT Board of Regents approved $334 million for construction of the medical school. 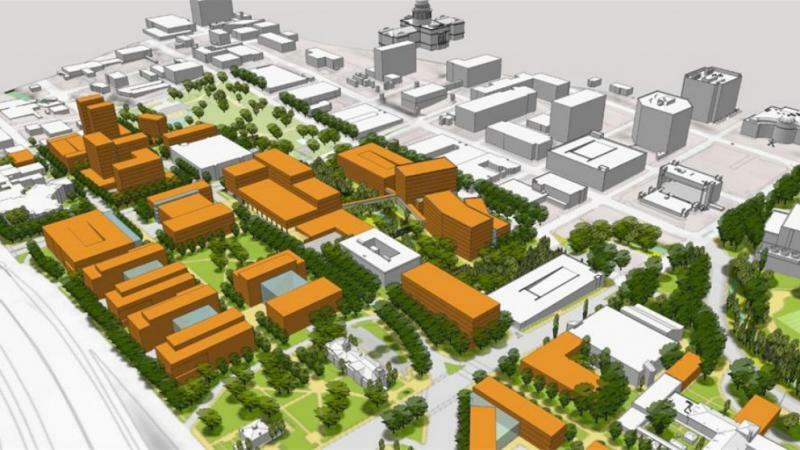 The Dell Medical School’s construction will be financed in the form of revenue bonds through UT. Robert Cullick with the Dell Medical School says the investment offers a huge opportunity to change the way people receive medical treatment. The medical school has a partnership with Seton Healthcare Family, whose plans include a new $245 million teaching hospital. 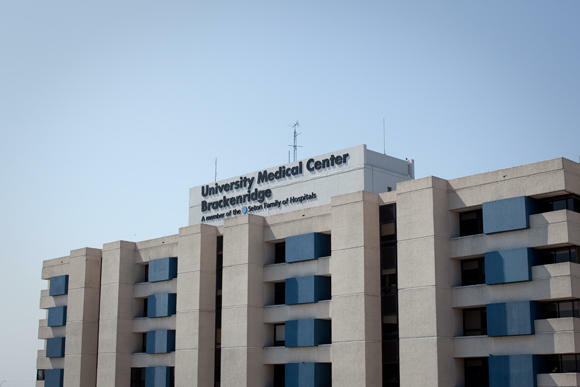 The non-profit hospital chain is scheduled to begin construction on a new hospital in 2014, which will replace Seton’s 1970s-era Brackenridge Hospital. The medical school will be provided as a place to train doctors and nurses, with the hospital offering a site for future medical professionals to get hands-on training. It’s arriving at an important juncture, says Central Health’s Juan Garza. Seton plans to build a new, $245 million teaching hospital to replace Brackenridge, pictured above. After Prop 1’s passage, Austin homeowners are paying increased property taxes to Central Health, the area’s indigent healthcare district. The estimated $35 million voters approved in November will go toward medical services for Austin’s uninsured and under-insured, purchased through the medical school. Central Health also envisions new, modern health clinics being placed throughout Austin neighborhoods. Central Health has sought additional federal funds in the form of a special Medicaid waiver. For every local tax dollar put toward medical care and prevention, an extra $1.40 is given to the region by the federal government – which will be used to finance expanded health care. “We are told that our proposal is fairly unique in creating the integrated delivery system,” Garza says. Funding for the project doesn’t stop there. The Michael and Susan Dell Foundation will be providing $50 million over the next 10 years for medical school operating expenses. This comes in addition to $25 million pledged annually by the UT Board of Regents. Cullick believes the school has the potential to be self-sufficient. Garza sees the benefit of this new system as one where the public will pay less for medical care and treatment. The first University of Texas medical student class could be here as early as fall 2016. 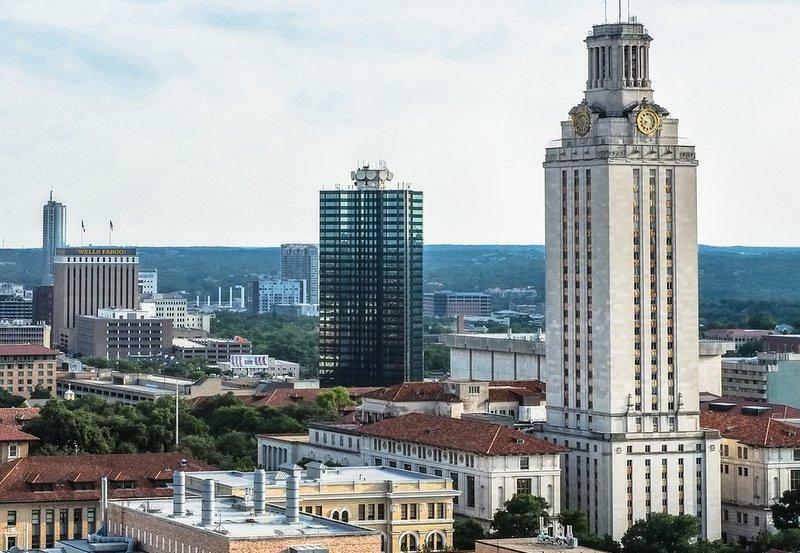 The UT Board of Regents unanimously approved plans for the school at a meeting earlier today. Though construction has not begun, UT President Bill Powers says he’s hopeful that the school will be ready by 2016 and the teaching hospital by 2017. Until then, UT has a laundry list of things to do. This week, Texas Gov. Rick Perry signed a law banning abortions after 20 weeks. It also increases requirements for clinics and doctors that provide abortions. Clinics have a little over a year to upgrade to ambulatory surgical centers. 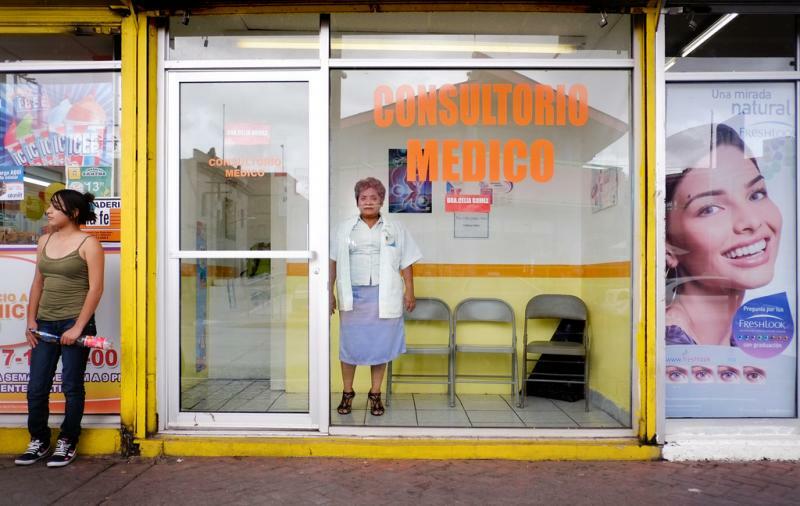 Several clinics are expected to close, leaving women in poor and rural areas the most affected.